How to make a surface look differently at different angles? One can make “bumps” on the surface and paint opposite sides of the bumps in different colors. But it is a general belief that the brightness (or reflectance) of a FLAT reciprocal surface always appears the same for observers looking from the opposite angles with respect to surface normal. Our results show that it is possible to break this angular symmetry of reflections from flat surfaces by generating evanescent waves at a specifically patterned surface. In our experiment, the surface nearly fully absorbs and fully reflects light coming from two oppositely tilted directions. 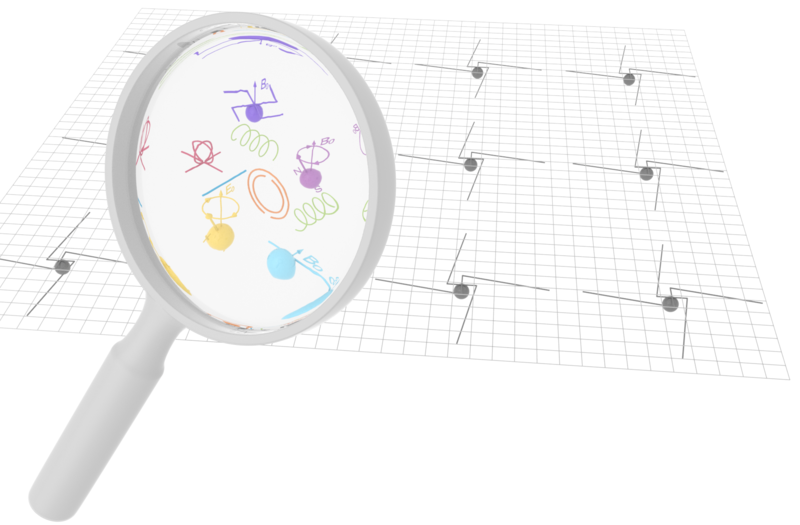 This work opens up promising possibilities for applications in one-side detection and sensing, angle-encoded steganography, low-field nonlinear devices and unidirectional emission. 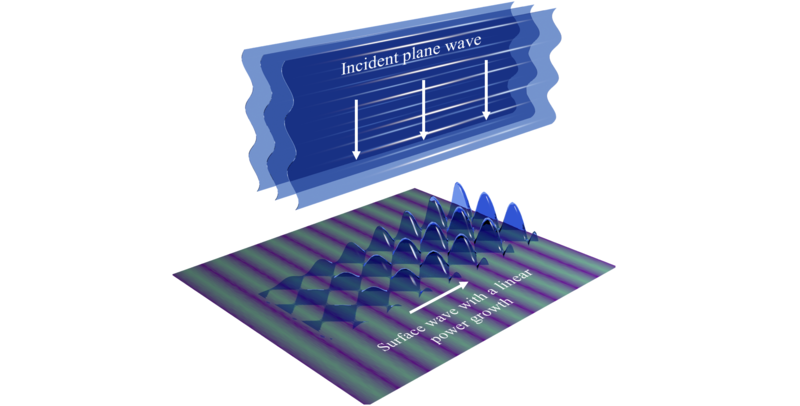 We study the conditions required for two metasurfaces such that, at the presence of a given incident wave, the fields between them can be tailored while the fields outside remain unchanged. This scenario, which can be considered as an embedded eigenstate, could be useful in applications related to sensing, cloaking, and nonlinear effects. Known designs of Huygens’ metasurfaces rely on inclusions with complicated three-dimensional topologies. In this project, we introduce novel Huygens’ inclusions that can be easily fabricated based on conventional printed-board technologies. We synthesis several metasurfaces with different responses such as polarization rotators and absorbers. The remarkable feature of the metasurfaces is their transparency at frequencies outside the resonance, which is achieved due to the broadband matching of their electric and magnetic properties. Capturing, accumulating, and storing energy by lossless loads is the ultimate functionality of efficient batteries. One of the possible ways to obtain such device is to control its’ properties in time. One of our research topics concerns time modulation of properties of electric circuits and metasurfaces. Our study considers accumulation of energy by a time modulated reactance and possible ways to realize it in experiments. We propose a technique for converting a homogeneous plane wave into a surface wave with linear power growth using metasurfaces, which outperforms currently available wave couplers. With a dramatic enhancement of conversion efficiency, the proposed metasurface wave couplers will find numerous applications ranging from perfect leaky-wave antennas in the microwaves to ideal photovoltaic cells in the visible. Wireless power transfer (WPT) technology has been recently proposed for a number of applications including biomedical applications, consumer electronics, transportation and industrial applications. Due to its inherent wireless nature, WPT is an attractive solution for many situations where implementation of physical connectors can be inconvenient, hazardous or impossible. In our research, we are developing new technologies for next generation wireless power transfer. Conventional WPT systems consist of a microwave power generator and a microwave power receiver separated by some distance. In conventional WPT, optimal power transmission condition can only be achieved with energy efficiency less than 50% due to the intrinsic characteristics. We introduce a new paradigm for wireless power delivery based on which the whole system, including transmitter and receiver and the space in between, forms a uniﬁed microwave power generator. In our research, the load itself will become a part of generator which creates microwave oscillations directly at the receiver location which eliminates the power-efficiency trade-off limit of the conventional WPT. Our research direction also aims to improve the efficiency and the transferred power to the load, and ensure that the system is robust for a wide range of operating conditions. Recently, the complexity behind manipulations of reflected fields by metasurfaces has been addressed, showing that, even in the simplest scenarios, nonlocal response and excitation of auxiliary evanescent fields are required for perfect field control. 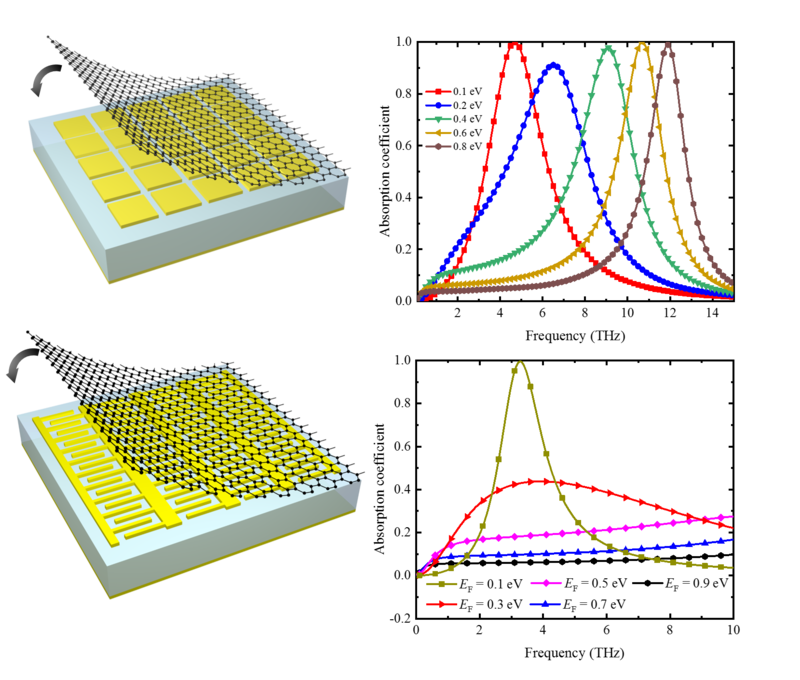 We introduce purely local reflective metasurfaces for arbitrary manipulations of the power distribution of reflected waves without excitation of any auxiliary evanescent field. The method is based on the analysis of the power flow distribution and the adaptation of the reflector shape to the desired distribution of incident and reflected fields. As a result, we find that these power-conformal metamirrors can be easily implemented with conventional passive unit cells. The results can be used for the design of reflecting surfaces with multiple functionalities and for waves of different physical nature. In this work, we present the cases of anomalous reflection and beam splitting for both acoustic and electromagnetic waves. The infinite variety of electromagnetic effects in electrical networks is modeled in terms of basic lumped elements, such as capacitors and inductors. 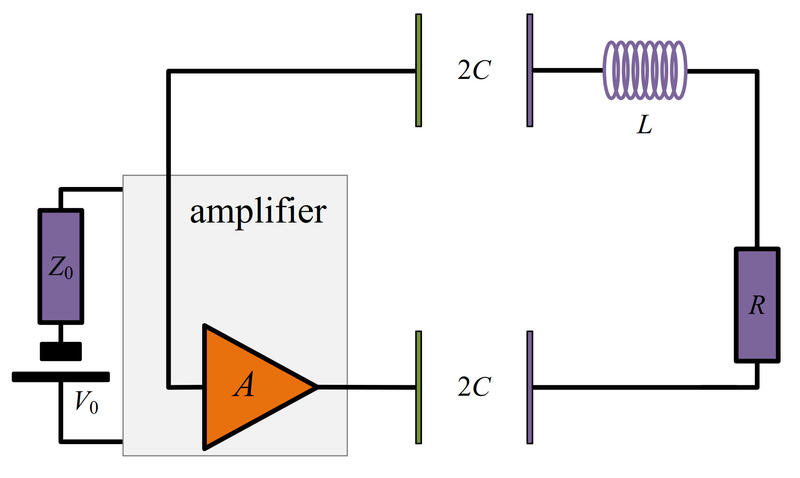 This representation of complex response via a discrete set of simple properties underlies the concept of electronics. Here we introduce an analogous concept of “materiatronics” for modeling entire diversity of polarization effects in linear materials and metamaterials. 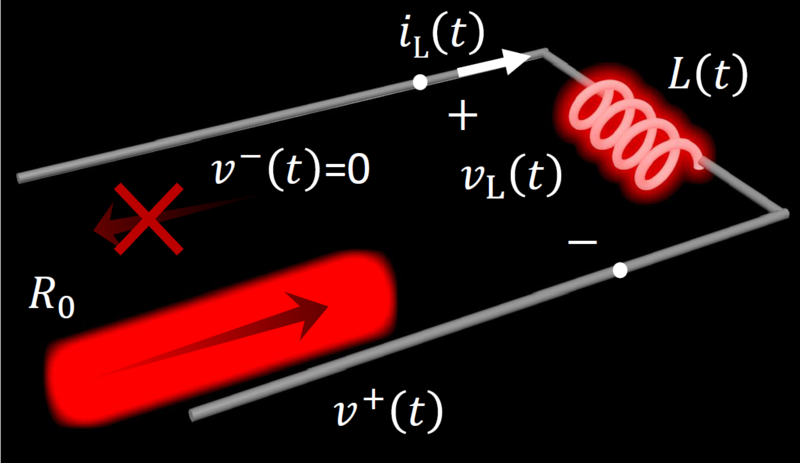 We demonstrate that the most general polarization response, including bianisotropy and nonreciprocity, can be conceptually decomposed into a set of simple fundamental phenomena, which enables immediate all-direction characterization of arbitrary metamaterials and metasurfaces and shows means for optimization of their responses. 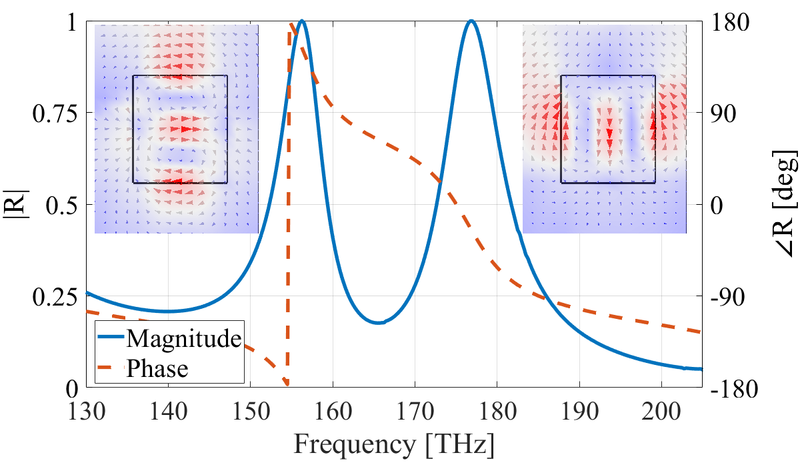 We analytically, numerically and experimentally propose a passive decoupling method for very closely located dipole array, regarding Ultra-High Field Magnetic Resonance Imaging (MRI). The passive scatterer is constituted of metasurface of resonating dipoles or split-loop resonators (SLRs). The use of these metasurfaces not only decouples elements of array, but also does not have negative effect on distributed H^+ field in the phantom. Adding tunable, sensible, programmable, and (artificially) intelligent abilities to metasurfaces will offer virtually unlimited possibilities in controlling fields of various physical nature using thin intelligent skins. 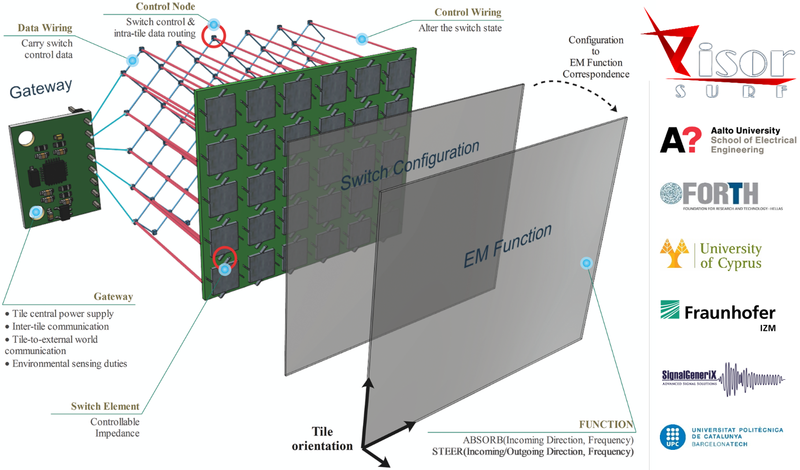 The main objective of our VISORSURF project is the development of a hardware platform, the HyperSurface, whose electromagnetic behavior can be defined programmatically. The key-enablers are the metasurfaces, artificial materials whose electromagnetic properties depend on their internal structure. HyperSurfaces merge metamaterials with a network of miniaturized, custom electronic controllers, the nanonetwork. The nanonetwork receives external programmatic commands and alters the metasurface structure, yielding a desired electromagnetic behavior for the HyperSurface. Conventional Huygens' meta-atoms use spectrally overlapped electric and magnetic resonances in order to achieve full control over the transmission phase and full power transmission through metasurfaces. Different bandwidth and mutual coupling of magnetic and electric resonances make this approach rather challenging. One of our research destinations studies achieving of full functionality of Huygens’ meta-atoms using only electric response. The proposed approach can be realized in microwaves as well as in optics and can be used in numerous applications including bending transmitarrays and lenses. In almost all of the theoretical literatures, high-quality ( or high carrier mobility) graphene is assumed for improving light-matter interaction in graphene. However, high quality graphene is very difficult to be obtained in experiment since graphene sample will be easily contaminated in transfer or other processes. By placing a complete graphene layer above the metasurface substrates, we demonstrate that full absorption is possible even in very poor quality and unbiased graphene sheet. Meanwhile, we find that the absorption frequency or levels can be modulated in a large scale by tuning the Fermi level of graphene.